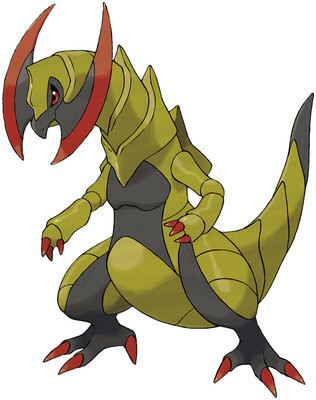 Haxorus is a Dragon type Pokémon introduced in Generation 5. It is known as the Axe Jaw Pokémon . The effectiveness of each type on Haxorus. What is a good moveset for Haxorus? Two Pokemon with Mold Breaker against each other? Which double battle abilities have priority? Does Mold Breaker affect the player's ability too?